Single Stand Flattening Mills having single stands are designed & manufactured for processing Copper & Aluminium rectangular wires to close tolerance from 16mm and downward sizes to required sizes of rectangular wires generally required by Transformers , Magnet Motors, Etc. AC / DC Drive Control Panel with Operating Desk. 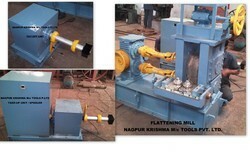 We offer Double Stand Flattening Mills having double stands are designed & manufactured for processing Copper & Aluminium rectangular wires to close tolerance from 16mm and downward sizes to required sizes of rectangular wires generally required by Transformers , Magnet Motors, Etc. We offer Three Stand Flattening Mills having tripple stands are designed & manufactured for processing Copper & Aluminium rectangular wires to close tolerance from 16mm and downward sizes to required sizes of rectangular wires generally required by Transformers , Magnet Motors, Etc. 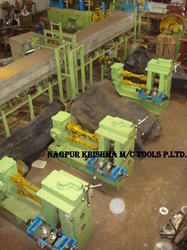 We offer Flattening Mills having single / double / tripple stands are designed & manufactured for processing Copper & Aluminium rectangular wires to close tolerance from 16mm and downward sizes to required sizes of rectangular wires generally required by Transformers , Magnet Motors, Etc. 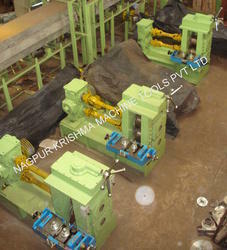 Looking for Flattening Mills ?